The hike starts beyond the gate on the Stony Valley Rail Trail. My intention was to do the Mid-Atlantic Hikes loop in reverse so I could get the more popular rail trail portion done early and explore Rausch Gap before it got busy and it can be a busy place later in the day. From StonyValley.com's Facebook Page: "...these are rail holders. Since the valley was so secluded, it was a long way to get supplies if rails needed to be repaired in an emergency, so the railroad company spaced rail holders every mile to two miles along the track. A 30-foot long metal rail would be spanned between the two crosses on the concrete arms, and a track gang - a group of railroaders who were in charge of repairing and maintaining a section of track - would then be able to easily repair the damaged track, which tended to happen more frequently when underground springs were present in the area." A few faint side trail lead over to views of the Evening Branch Beaver Swamp on the right. ... with a beaver lodge. The hemlocks make for nice greenery when everything else is brown and drab in the winter. Here we have Balloon #1 on the first hike of the year. An orange-blazed trail to the left two miles in. I explored it and it went nowhere that I could tell very early on. A little farther along, a faintly blazed orange trail to the right. The blue track is what I grabbed from Mid-Atlantic Hikes and is what I had intended to hike but I decided to explore this orange trail and that turned out to be a good choice since I would need it later in the hike. There is a sign on the tree a short way in that reads "To Upper Rail Trail". The blazes are very faint if they exist at all but the path is apparently used since I did not have any trouble staying on it. The trail does come out on the Upper Rail Trail where we turned left and immediately came upon a flooded out area. It had rained the day before - AGAIN - so it might not be this wet normally. But what is a dog who doesn't want to get his paws wet to do? ... with some nice winter views of Second Mountain on the left. At the gas pipeline, we turned left to head back down to the Stony Valley Rail Trail since there appeared to be more blow downs and overgrowth ahead on the almost never used (except probably by hunters) Upper Rail Trail. Coming out of the gas pipeline cut, a right on the Stony Valley Rail Trail. The hemlocks stop as leafless hardwood trees take over. It's not much farther to Rausch Gap at he green bridge. ... that leads to nice views of waterfalls in Rausch Creek. On the opposite side of the trail are old foundations of the homes from those who inhabited Rausch Gap long ago. The foundations are easier to make out in person. Just looks like a pile of rocks in the picture. ... the Appalachian Trail turns left before the bridge. We were heading towards the flooded area but I was pretty sure the cemetery was reachable before that and it was. But first a couple of signs in the "main" part of the old ghost town. It was very disappointing to see that the Rausch Gap Stone Arch Bridge that was once under the green bridge has now totally crumbled into Rausch Creek. StonyValley.com has some nice pictures of what it used to look like. All of those scattered stones belonged to the stone arch bridge when it stood. Now heading north on the AT towards the old cemetery. 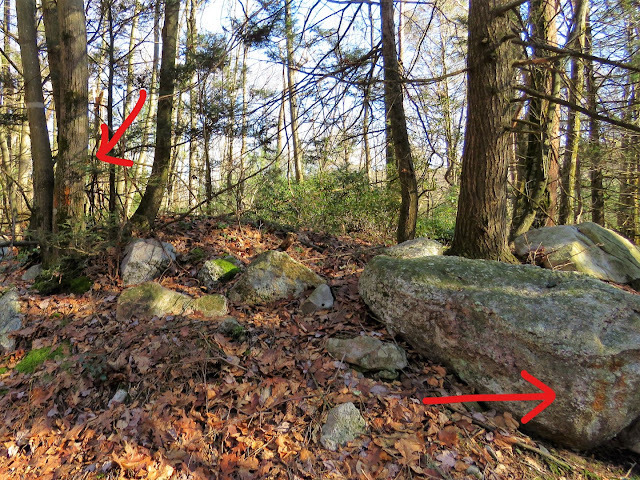 There are lots of old stone foundations off the trail along the way. There are only three tombstones left standing in the Rausch Gap Cemetery. Heading back to the AT. We went off trail to the left through an open area with a campsite and veered right to Rausch Creek where we took a break. Heading back to the green bridge over Rausch Creek. The AT now turns left crossing the bridge and following the Stony Valley Rail Trail for a bit. Rausch Creek to the left. To the right, the limestone neutralization system. The limestone is a base that neutralizes the acid in the water from mine drainage. The AT leaves the rail trail to the right. This section of trail goes through the coal mining area so lots of coal debris is found along the way. ... to views of Rausch Creek. ... where this branch came crashing down about 100 feet from us in the woods. Brodie about jumped out of his fur where I was frozen in place not knowing where it was falling from in time to know where to move. This is why I don't like hiking on windy days and this day turned out to be more windy than expected. ... with some nice winter views along the way. Brodie refuses to drink the water that I haul along for him but he was all over that spring water at the shelter. A few steps after this sign is where we would have picked up a red-blazed trail, the Old Stagecoach Road, to loop around. I could not find it at all so I followed the Mid-Atlantic Hikes track I had uploaded to my phone. And this would be it. Seems the years have obliterated the trail. I was also not comfortable with the creek crossing. The water was raging and it was steeper down than it looks in the picture. And what if we did make it across and the trail was just as obliterated on the other side? I decided it was not worth the risk and we turned back. Ah ha, a very faint red blaze (and a plastic bag someone tied on the tree to mark the trail?) on a blow down. Heading back on the AT. Back on the Stony Valley Rail Trail and across the bridge. I decided to try that old orange-blazed trail we had been on earlier along the eastern side of Rausch Creek. ... to Rausch Creek where we saw some impressive stonework where the train tracks used to cross over. This, too, looks like it is crumbling away. I decided to see how far we could take the Upper Rail Trail back because I knew I could get back down to the Stony Valley Rail Trail via the gas pipeline cut or the old orange trail if I needed to. There were quite a few blow downs but they were easy enough to navigate through. Then the trail would open up and be really nice. At this point, there were lots of people down on the Stony Valley Rail Trail, not a soul up here. At the gas pipeline shown here, I contemplated turning left and catching the Old Stagecoach Road that way, which in theory should have been doable, but not knowing what conditions I would encounter with it not being a maintained trail and worried about not having enough daylight left if we did have to turn back, I decided to continue on the Upper Rail Trail. Passing by the orange trail we had come up on earlier, very faintly blazed where the turn is from the Upper Rail Trail. It was getting pretty overgrown. But would open back up so we continued on. But about half a mile from the orange trail, the Upper Rail Trail became impassable. It was also flooded out as far as I could see under those blow downs so that made it even more impassible. ... and headed down to the Stony Valley Rail Trail. Left on the Stony Valley Rail Trail. Zooming in up ahead, all of the people who passed while we were up on the Upper Rail Trail. Sand Spring is actually on the right where this sign is on the left. You can see the water bubbling up through the sand. A few more side trips over to the Evening Branch Beaver Swamp. The sun starting to set. Not trying to get over to the Old Stagecoach Road via the gas pipeline was a good call. It would have been a longer route back to the car. After 13.5 miles of hiking, he wasted no time going into post hike coma. I, however, had a 2 1/2 hour drive home. Thanks, Eric. 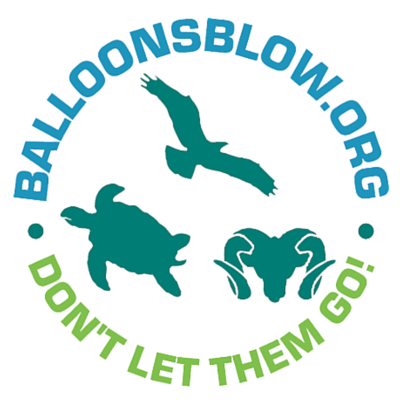 Nice to know others pack out those disgusting balloons, too! Hi. Happy New Year! Your pictures are beautiful! It looks like you had nice weather, especially for January. That's a very interesting place. Thanks! And Happy New Year to you, too! The weather was nice last Sunday, mid 40's, but snow this weekend :( It is kind of neat to hike in the snow as long as there is not a lot of it so watching to see where the least amount should fall. Thank you for posting these wonderful pictures! I was introduced to this area during my teenage years with my local Boy Scout Troop. I've been slowly revisiting this area over the past few years and enjoy going down memory lane now that I'm in my mid 50's.